Hard time of the year for a lot of folks.Suicide Hotline 800-273-TALK (8255). 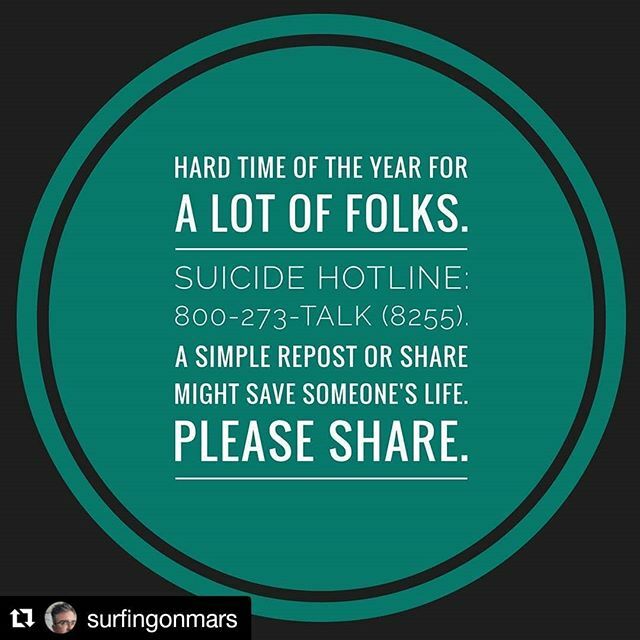 https://suicidepreventionlifeline.org/A simple share or repost might help save someone's life. Asking for help is not always an easy thing to do.We can all help prevent suicide. The Lifeline provides 24/7, free and confidential support for people in distress, prevention and crisis resources for you or your loved ones, and best practices for professionals.Please share.